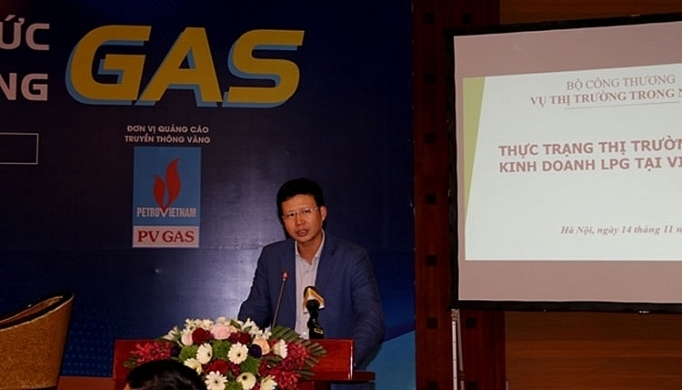 (VEN) - The Economics and Forecast Magazine (under the Ministry of Planning and Investment) and the Institute for Brand and Competitiveness Strategy recently co-organized the conference on “Challenges and prospects of the gas market” in Hanoi. PetroVietnam Gas Joint Stock Corporation (PV Gas) accompanied the event. Speaking at the conference, Editor-in-Chief of the Economics and Forecast Magazine Associate Professor, Dr Le Xuan Dinh said that over the past 20 years of establishment and development, so far the Vietnam's gas industry has contributed significantly to the socio-economic development in general and the petroleum and gas industry in particular. According to the latest report of the Ministry of Industry and Trade (MoIT) on the mining industry in the first half of 2018, natural gas exploitation was estimated at 5.3 billion m3, up 1 percent; liquefied gas was estimated at 437.6 thousand tons, a year-on-year increase of 18.5 percent. That showed that the mining industry in general, and the gas industry in particular were expanding well, basically meeting requirements, and overcoming shortages of supplies. To highlight the importance of the gas industry to the country's socio-economic development. The conference "Challenges and Gas Market Prospects" was a place where economic experts shared about difficulties and challenges of the gas market. It was also a bridge to help businesses share about obstacles in their production and business activities. 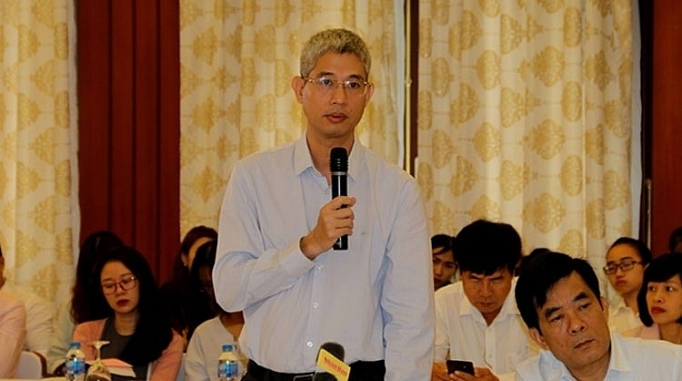 Speaking at the conference, Deputy head of trade and distribution division under the MoIT’s domestic market department Do Trong Hieu said for the last 5 years, the domestic liquefied natural gas (LNG) market has seen a high growth at more than 12 percent. The consumption structure of liquefied petroleum gas (LPG) market were as follow: Industrial facilities and transportation about 35 percent, commercial and service units and households at about 65 percent. Regarding domestic LPG production: Supplies from Dinh Co GPP and Dung Quat Oil Refinery reached output of about 750,000 tons/year, accounting for about 45 percent of Vietnam's LPG demand. Meanwhile, LPG imports from markets such as China, Quata, Saudi Arabia and United Arab Emirates, accounting for about 55 percent of Vietnam's LPG demand. As for material facilities system, PV Gas has a cold LPG storage system with capacity of 60,000 tons in Vung Tau, over 50 LPG storehouses with a total capacity of over 220,000 m3 (about 110 thousand tons) with an average capacity of storage from 1,000 to 4,000 tons: the North 13.8 percent, the Central region 6.8 percent and the South 79.4 percent, and more than 35 wharves, mostly small ones to import LPG. It also has nearly 200 certified LPG filling stations; 72 other filling stations working independently. At the conference, Head of market division at the PV Gas Nguyen Quyet Thang talked about the world’s LNG market, the necessity, legal mechanisms and solutions for the development of Vietnam's LNG import infrastructure for power production in Vietnam. According to Thang, after nearly 20 years of exploitation, domestic gas sources will gradually decline in the coming time. In order to ensure gas supply to power plants, fertilizer plants and industrial facilities, aside from searching, exploring and exploiting domestic gas sources, the country needs to purchase liquefied gas from overseas exporters. Therefore, it is an urgent need to develop infrastructure to import LNG. 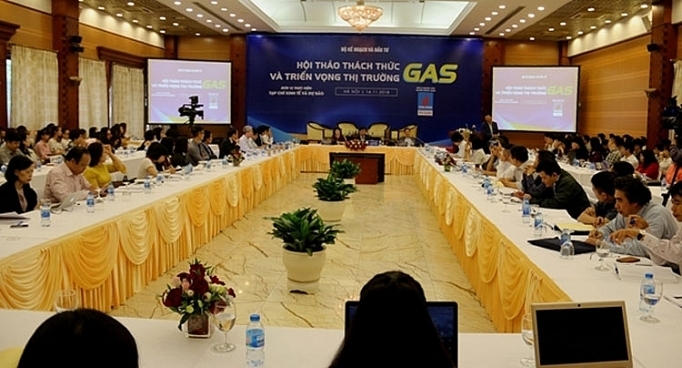 The Planning on development of Vietnam's gas industry to 2025, with orientation to 2035 stated that annual gas import is planned at 1-3 billion m3 for 2021-25 and 6-10 billion m3 for 2026-35; the electricity market will play a key role in gas consumption with the proportion of 70-80 percent of the total gas output. Regarding development orientation: In the Northern region, infrastructure for LNG imports wil be built to maintain gas supplies to industrial facilities, develop power plants using LNG according to the National power development plan approved by the Prime Minister. In the Central region, step by step study and build the infrastructure for LNG imports and distribution when the local gas resources decline and in case there will be new consumers. In the Southeast region: build the infrastructure for LNG imports to make up for declining domestic gas resources and supply power plants according to the National power development plan approved by the Prime Minister. In the Southwest region: build the infrastructure for LNG imports to maintain supplies for consumers and develop new power plants using LNG. The revised National power development plan during 2011-2020 period with consideration until 2030 requests the development of thermal power plant must be suitable with supply capability and distributions of fuel resources. Thermal power plants using LNG by 2020 will have total output of 9,000 MW, producing 44 billion Kwh of electricity, accounting for 16,6 percent of power production; by 2030 the total output will reach 9,000 MW, producing 96 billion Kwh of electricity accounting for 16,8 percent of power production. 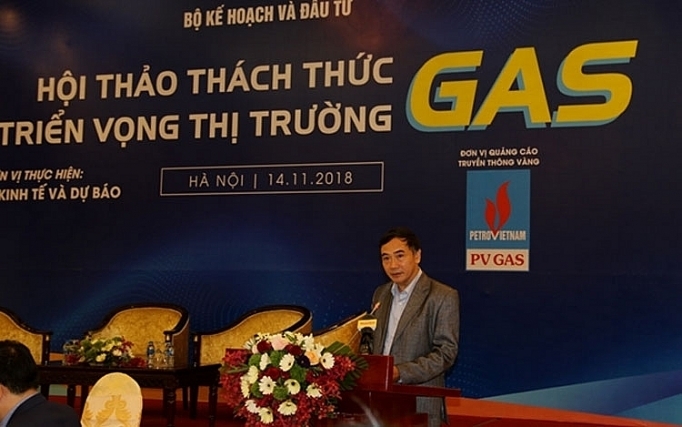 Vietnam also needs to invest in its storing infrastructure in Son My in Binh Thuan province to add gas supplies for Phu My and Nhon Trach power centers when the natural gas sources in the eastern region fall. In addition, PV Gas’ Head of market division Nguyen Quyet Thang also suggested solutions on infrastructure development to import LNG for power production, including solutions on legal mechanisms, models; solutions on investment, finance, market, science and technology, human resource development, environment safety and sustainable development; and solutions on national defence and security.